So much to love about the Vans x Peanuts Collection 2017. Yes, more Peanuts. But this Peanuts-themed clothing by Tobias & the Bear is very much for smaller kids. They produced a range for adults recently, but this Timex Analog x Peanuts Snoopy Woodstock watch is strictly for kids. 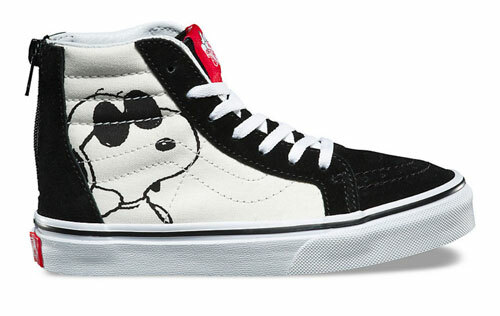 There is a lot of Snoopy and/or Peanuts gear around right now, which we’ll be featuring over the coming week. Let’s kick off with this Snoopy sweatshirt at H&M. Plenty of Snoopy stuff around, but this Snoopy crew neck sweater at Next.